Trying to Keep Warm at the Heart of AN! We’re having a much colder winter than usual here. The nearby Apus are covered with snow. The wood stove in our living room is going all day and we are doing our best to stay warm. 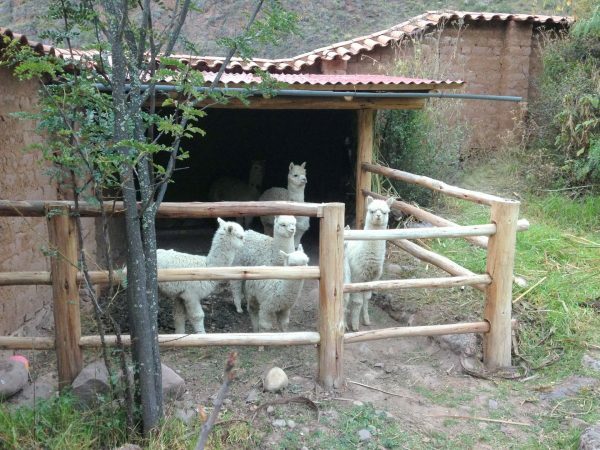 We are so happy that we are taking care of some of Pedro’s baby alpacas. The smallest one, whom we have named Chaska ~ which is Quechua for Star ~ probably wouldn’t have survived if she hadn’t come here. 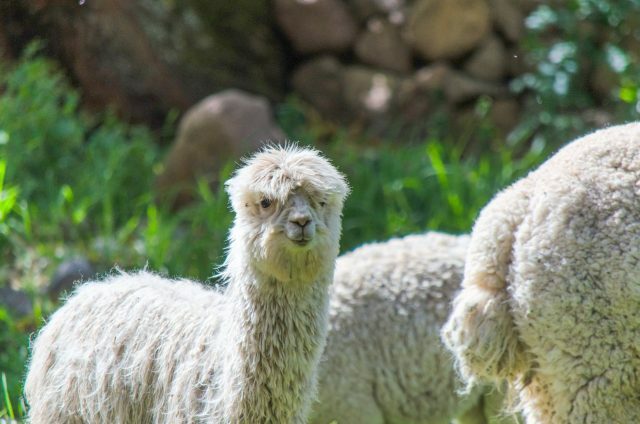 All of our Alpacas of AN are flourishing and we so love having them here. It’s impossible not to feel happy around them. We are still feeling a deep sense of quiet and are somewhat relieved not to have visitors right now. When we have a bit of free time, Emanaku and I are working on books about our lives. Mine is already 250 pages, but there’s still much more to write. And after it’s done, I want to finish the new edition of “11:11”. Last week, German and his crew arrived to finish our vegetable garden. 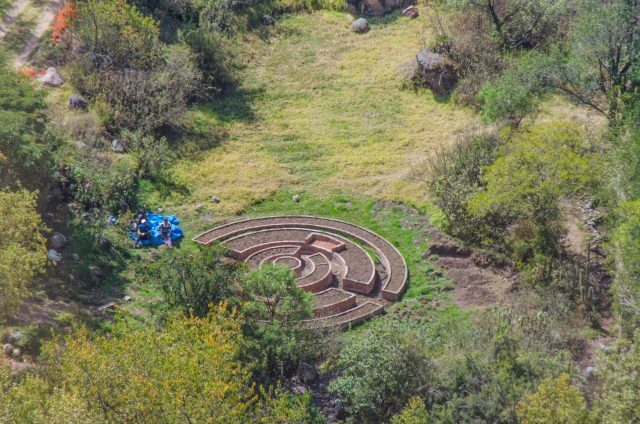 Now, there are river rock paths inside it and around the outside. 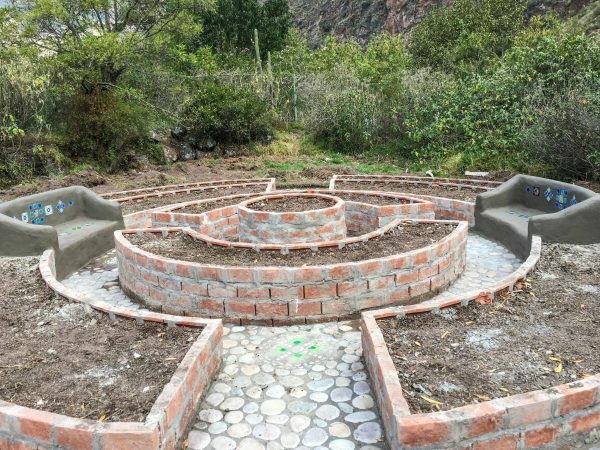 The two built in bancas (seats) are done, as well as six mosaic mandalas which I created to go into the paths. It looks beautiful. 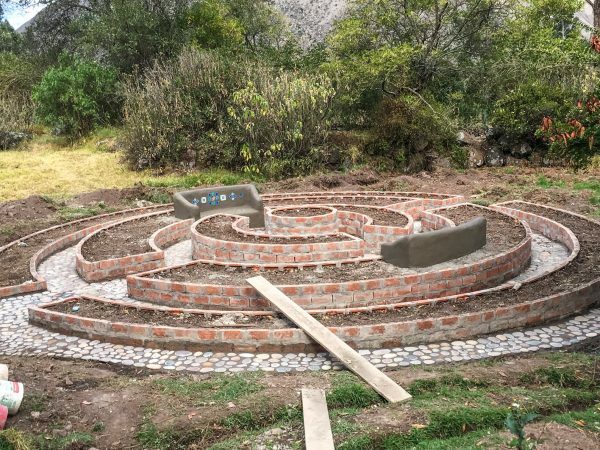 As soon as German returns, we will finish the basin for the water system, outline the water canals with cement and build the river rock path down the hill to the garden. Then we will be ready for the planting of our new seeds! We have decided not to hold any more Special Events this year and will wait until next May. It feels right to get our books done and have some quiet time to restructure and reset everything. We do have a few groups coming in September which we know will be amazing and much fun. By then, we will be ready! 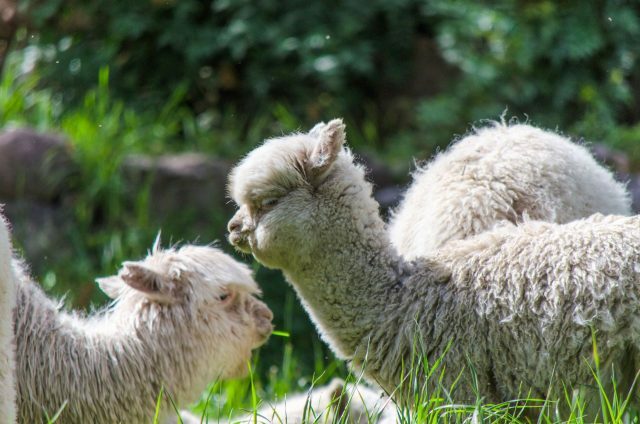 In next week’s Photo Journey of the Heart of AN, there may be even more Alpacas of AN! Peru is having a very cold winter this year. Lots of fresh snow on the nearby Apus. 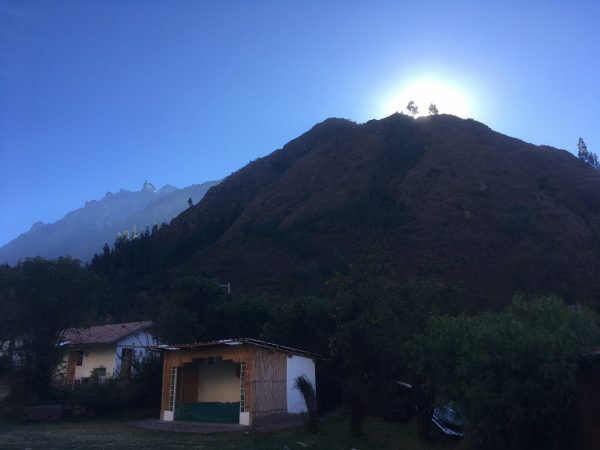 The Sun rises over the mountain next to the Heart of AN. 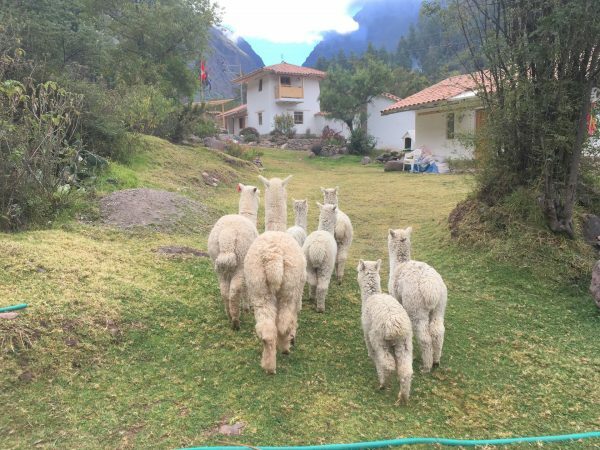 Every morning, the Alpacas of AN wait impatiently to be let out of their house so they can start eating the delicious grass here. Who wouldn’t love to be greeted by such cuteness! 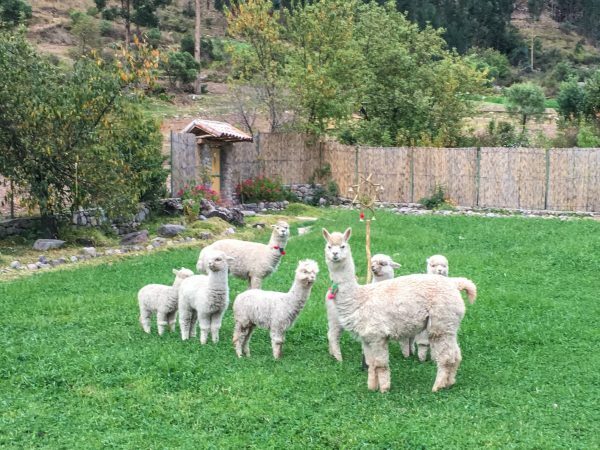 As soon as they come out of Alpaca Wasi, they quickly go to the Tower of AN for their favorite breakfast of fresh rye grass and red clover. Actually this is also their favorite lunch, dinner and snack as well. Exquisite morning lights at the Heart of AN. Nima and Tawa at the Tower of AN. 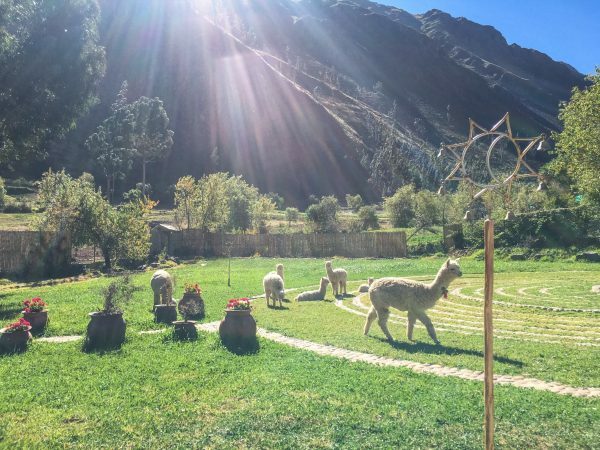 The energy of the Tower of Light of AN is greatly transformed by the presence of the Alpacas of AN who effortlessly anchor the New Reality. 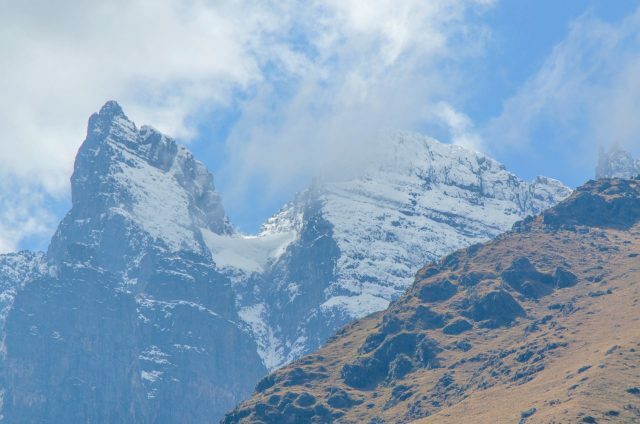 When she first arrived here, Pedro wasn’t sure if she would survive and said that she definitely wouldn’t have made it if she was still up in the cold, high mountains. But she is flourishing here! 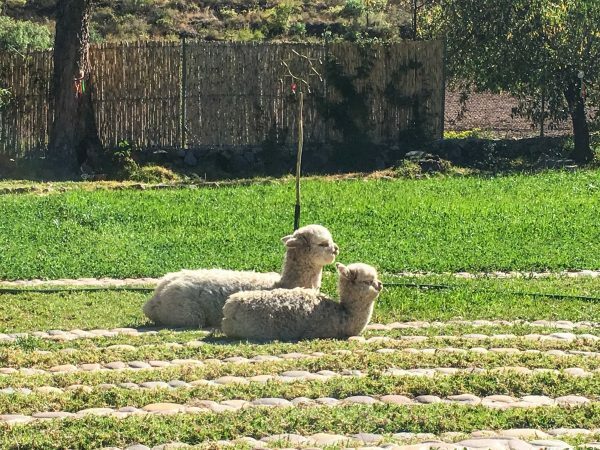 Living with alpacas is life changing. 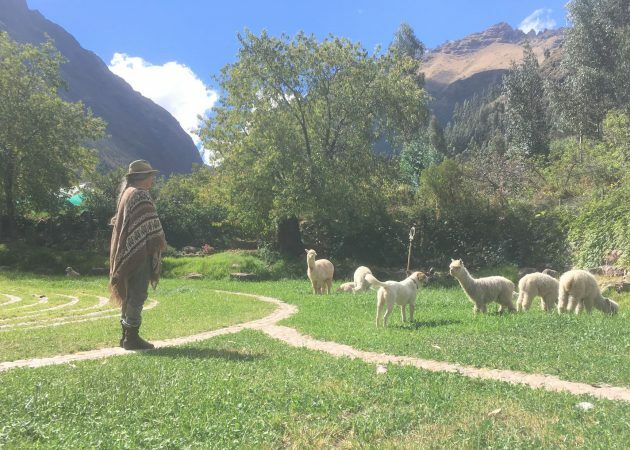 I love visiting the alpacas and talking to them in a mixture of Star Language and Quechua. 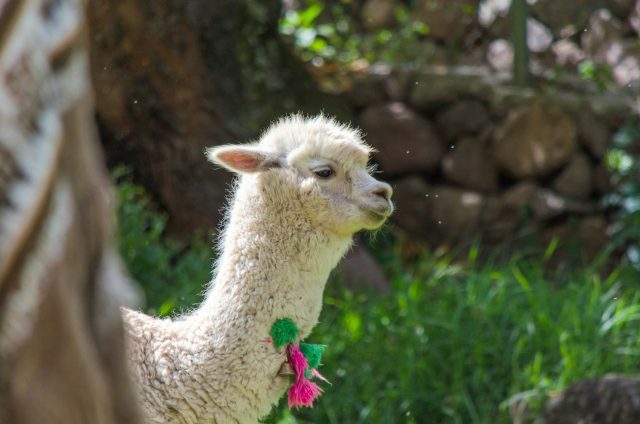 The beautiful Nima is definitely the Queen of the Alpacas of AN. This is dearest No’e ~ the one who feels so close to us. No’e is the name for the Milky Way in the language of Rapa Nui. And here’s the adorable Suri. 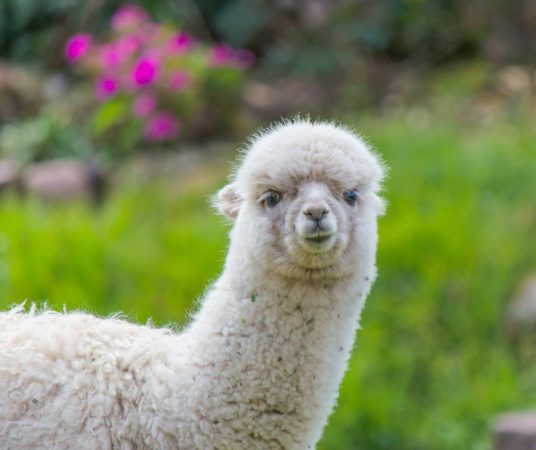 Suri is the name for this type of long haired alpaca, but it’s a good name for him too. Suri is very funny and very sweet. 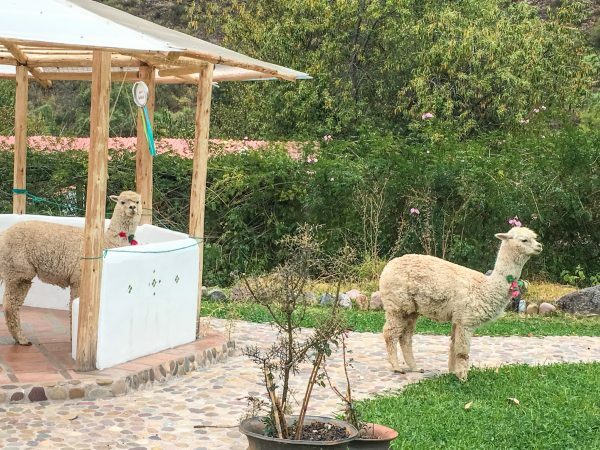 The interactions between the alpacas are endlessly entertaining. Last week, Emanaku hiked to the top of the mountain next to us and took some great photos of the Heart of AN. 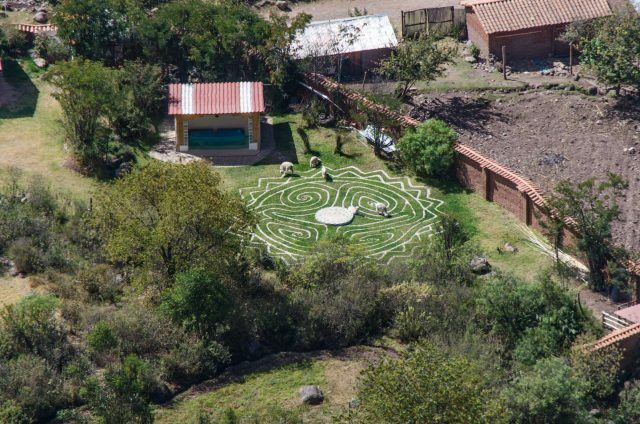 In the bottom right corner is our new vegetable garden. 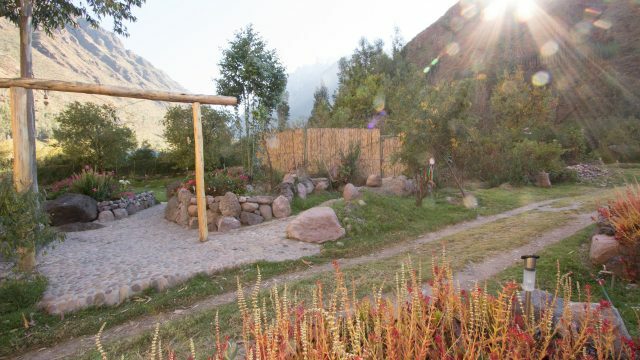 This is our new vegetable garden before the river rock paths were made. German and his crew have been working on it to get it finished. 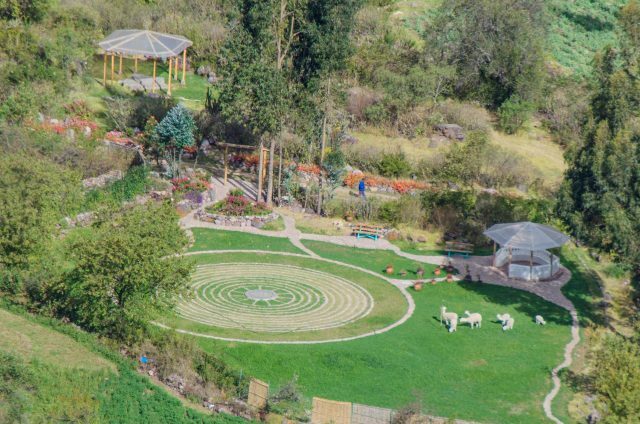 The AN•Labyrinth is quite popular with our alpacas! The Tower of AN with the AN•Chakana in the upper left. 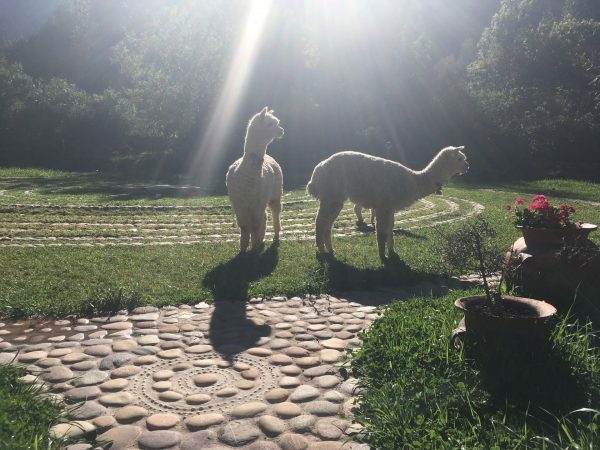 The Alpacas of AN in their True Home! Tiny Chaska is on the left; Nima in the front, as usual and the funny Suri next to her. 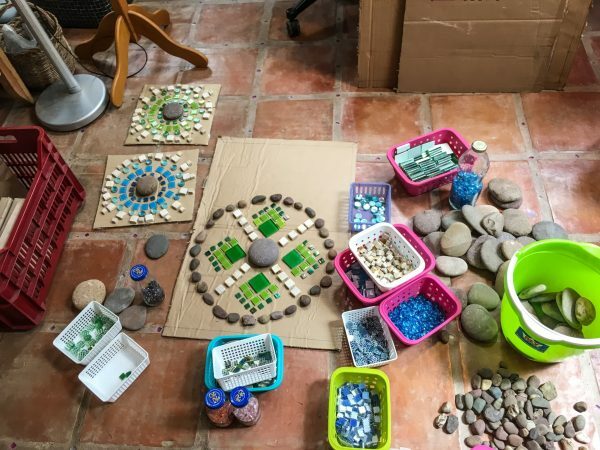 When German returned to finish the vegetable garden, it was time for me to design some mosaic mandalas to put into the river rock paths. 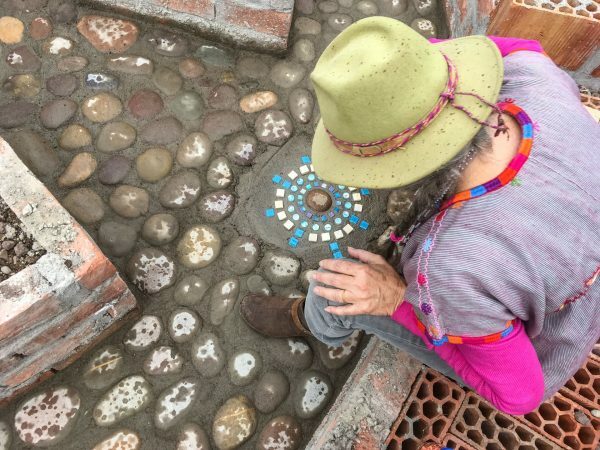 Putting in the first mosaic mandala in the paths around the vegetable garden. 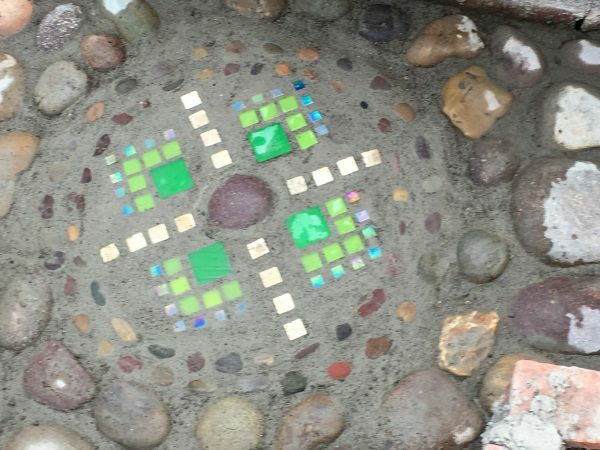 This mandala has mosaics, glass tiles, river rocks and small white shells from Tahiti. 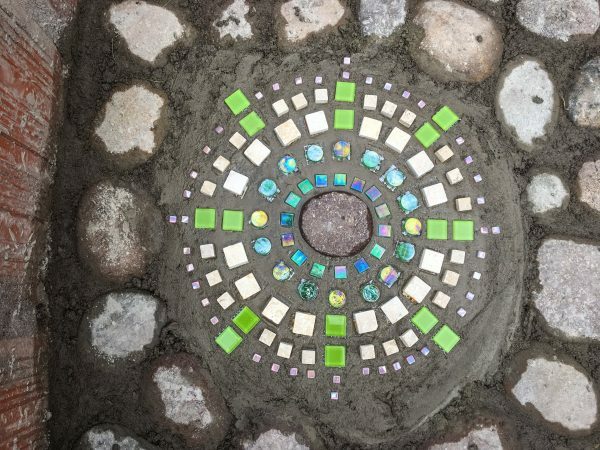 Emanaku set this mandala into the fresh cement. 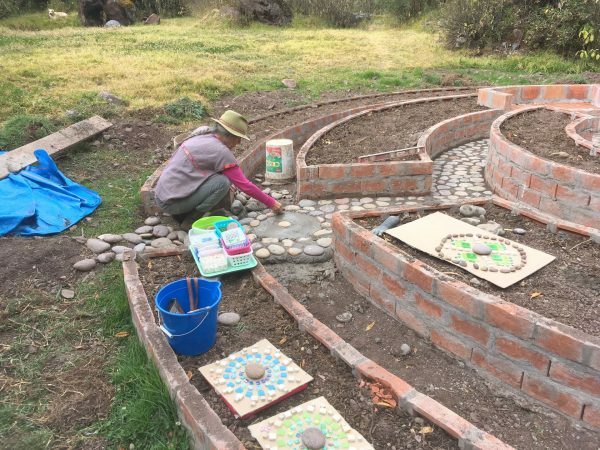 The mosaic mandalas add a fresh energy to our garden. We hope that the plants love them too! 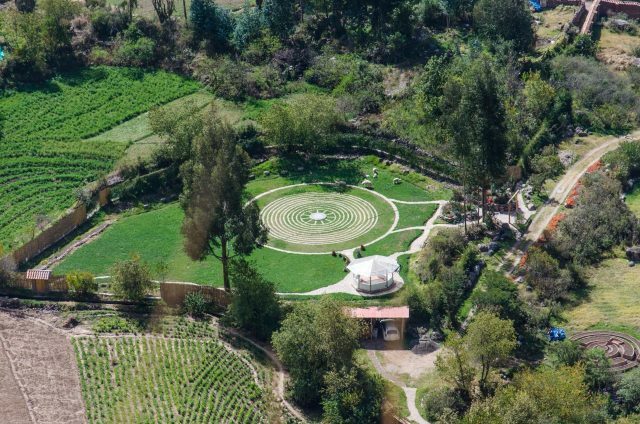 There are six mosaic mandalas in total. Here’s another one at the base of the second garden seat. There was a light rain while I was doing this, as you can see from my hat. 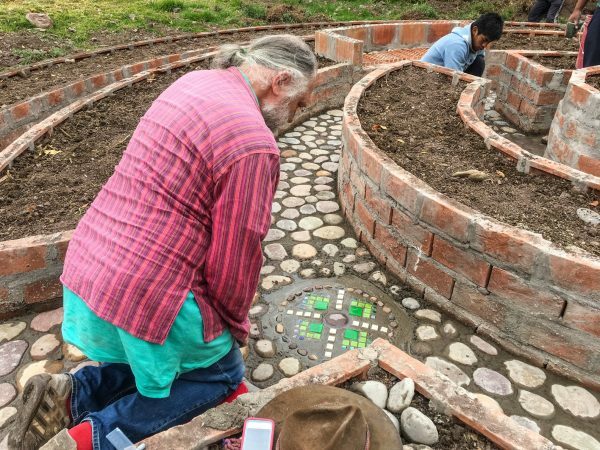 Here is one of the mosaic mandalas on the ground in front of one of the two built-in garden seats. A few of you might recognize some of the mosaics which you brought us in May. 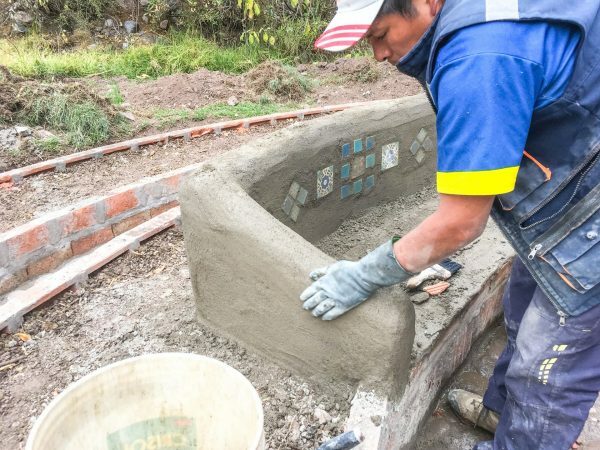 I created the tile designs for the back of the banca seats in the vegetable garden. 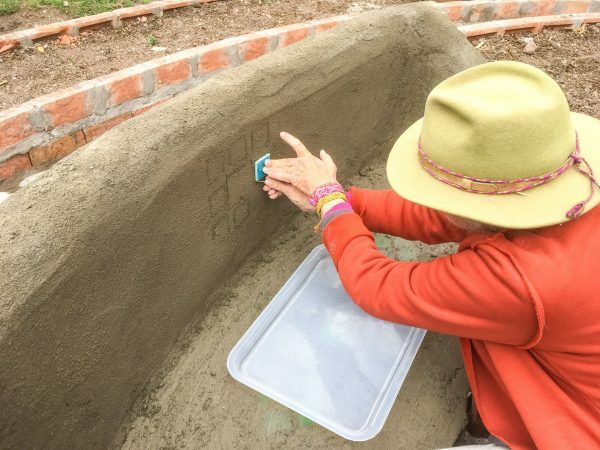 Here, I’m carving the design into the fresh cement so that German can install the tiles. The maestro German set the tiles into the cement and then cleaned them up. Here is one of the finished bancas! The other one has different tiles, but you’ll have to come see it for yourself. 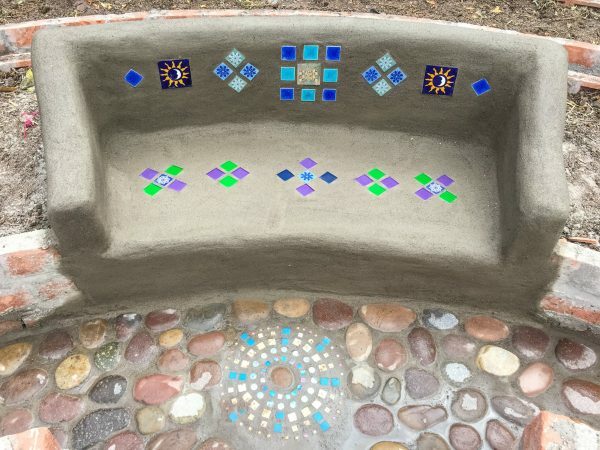 The completed seats with river rock paths! It will be nice to have somewhere to sit within the garden, plus we can rest a basket there when we pick our herbs and vegetables. Here’s an overview of our garden so far. 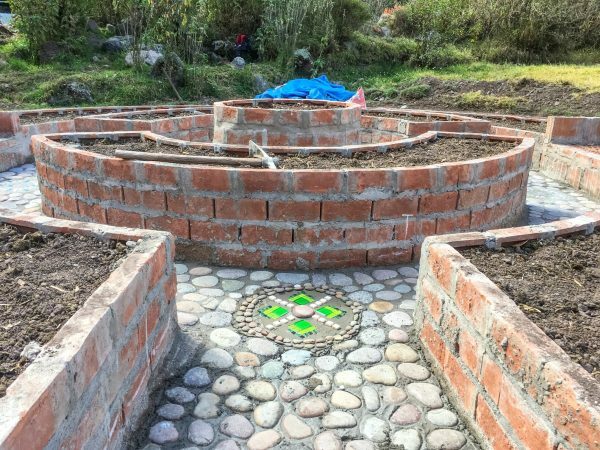 We still have to make a water basin for the irrigation, plus a river rock path going down the hill to the garden. But it’s getting closer and perhaps by the time we plant our garden, the weather will be a bit warmer. Morning sunrise from our bedroom balcony. 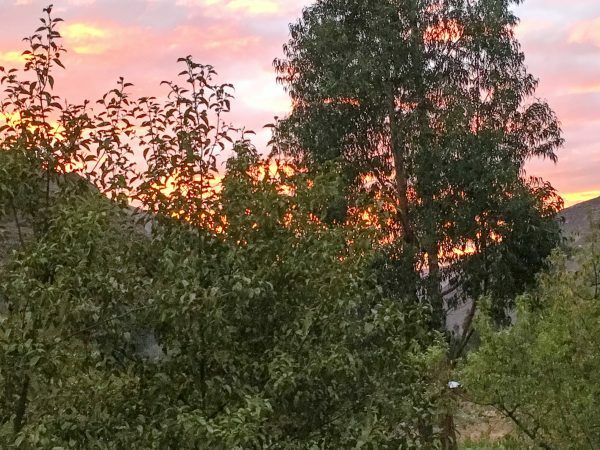 Sometimes, the sunrises are so rosy that the pinkness wakes us up! 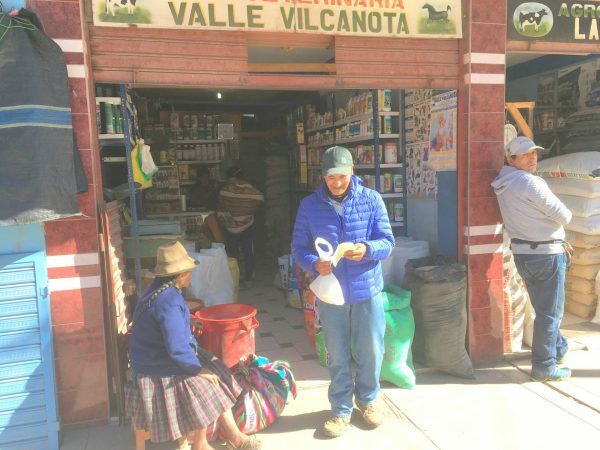 Emanaku and Pedro went to the nearby town of Calca to get some vitamins for the alpacas. 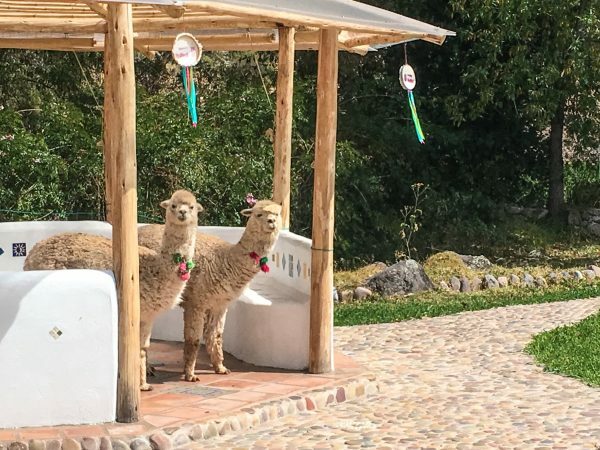 The Alpacas are in Alpaca-Wasi so they can get their vitamin injections ~ done by Pedro. They also received anti-parasite medicine in the past few weeks. Cute little Chaska is in front, with No’e right behind her head. The other day, I visited the alpacas to discover that Tawa was inside the Octagon! Two days later, both Nima and Tawa were inside the Octagon while all the baby crias were busy eating grass. Maybe they needed some quiet, adult time to themselves! Comments Off on Trying to Keep Warm at the Heart of AN! 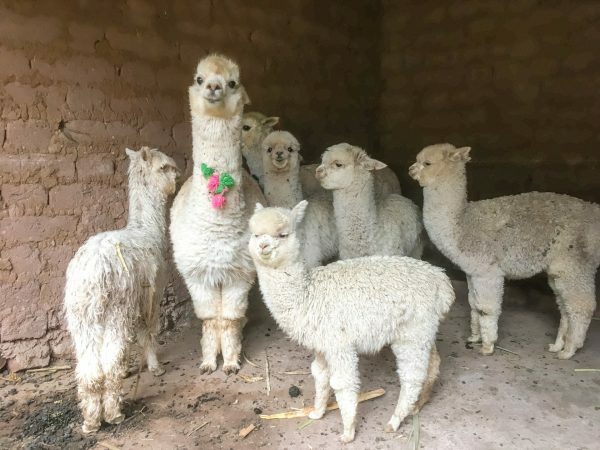 «Alpacas Everywhere at the Heart of AN!